Venice December 21, 2014 · 15 min. readThis article may contain affiliate links. We were given a good breakfast at the Hotel Dollinger that included salami, ham, cereal, toast and yogurt, and then we loaded the bus once again. It was raining in Innsbruck today and a thick fog had rolled through the valley. Flip told us that if it was raining in Venice, the gondola ride would be cancelled, however, the mountain range between Venice and Innsbruck often changes the weather. We got a map of Venice and were told that the city was an "engine-free" city, meaning there are no cars in it at all. The reason, Flip said, was because the main form of transportation was boats and foot-power. Venice was built on 170 islands and was built out of wood, so any motor that could cause a fire is forbidden because the city would instantly burn to the ground. After the Roman Empire split into the Holy Roman Empire and the Byzantine Empire (after Constantinople/Instanbul was renamed the capital), Venice became the trade center of the Western world. There is even a giant bridge that spans the Grand Canal in Venice, and we're going shopping on it later today. We're currently driving through the Alps again, and driving through the fog, rain and sometimes snow, along with checking out the quaint villages we pass. A while back we passed a few large orchards, full of very grotesque trees, and I think they were grape trees for wine making -- although I'm not completely sure. In the middle of each other these orchards were small, stone huts which I think the farmer of the orchard lives in. We are now in Italy, Flip just said. The large mountains, waterfalls, forests, orchards of grape trees and stone buildings have already made Italy live up to its name. It's too bad for the rain and low clouds. From what I can see, the sight would be spectacular! We just crossed a river that winds between two mountains, and oh! a rippling water-fall! Italy is so beautiful so far, and I have yet to step onto the soil of this beautiful country. As well, today to most of the world is St. Patrick's Day, but in Italy it's the 150th Anniversary of Unification Day. Flip said that some of the stores in Venice will be closed, but all the museums will be open -- and they'll all be free! Venice is the most beautiful, yet confusing, city I have ever seen. It has the shops of Munich but the canals of Amsterdam. But, without any cars revving their engines or horns honking, it's by far the quietest. Gondolas float throughout the city playing soft, quiet accordion music, while the Italian gondolier brandishing never ending bottles of red or white wine. 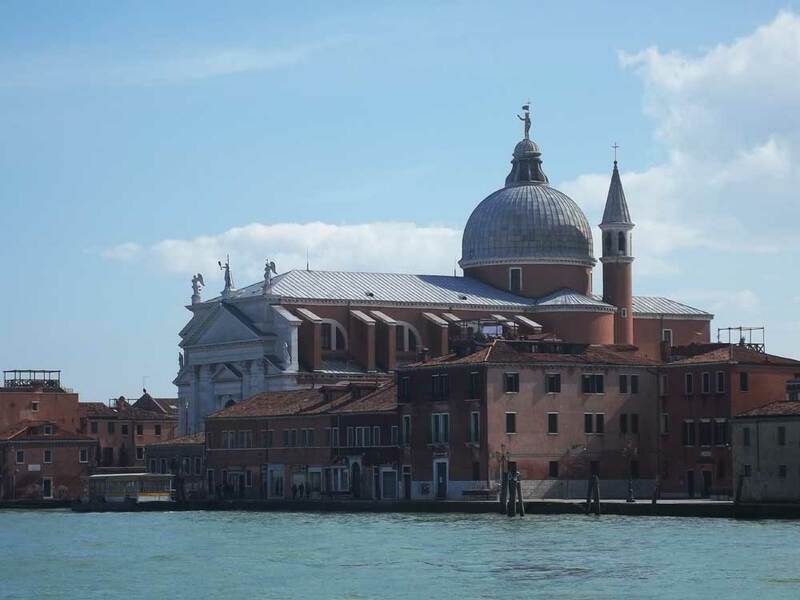 Venice is built on islands, like I said earlier, and every 10 years the city sinks a meter. Within 100 years, the city will be underwater and gone forever. Even today you can see the stores and houses alongside the canals that have been abandoned because of the spring flood. It's almost sad to see such a beautiful city with so many boarded up windows and rotting, water-marked doors. Before I bore you anymore with the chaotic beauty of the Floating City, let me tell you what I did there. 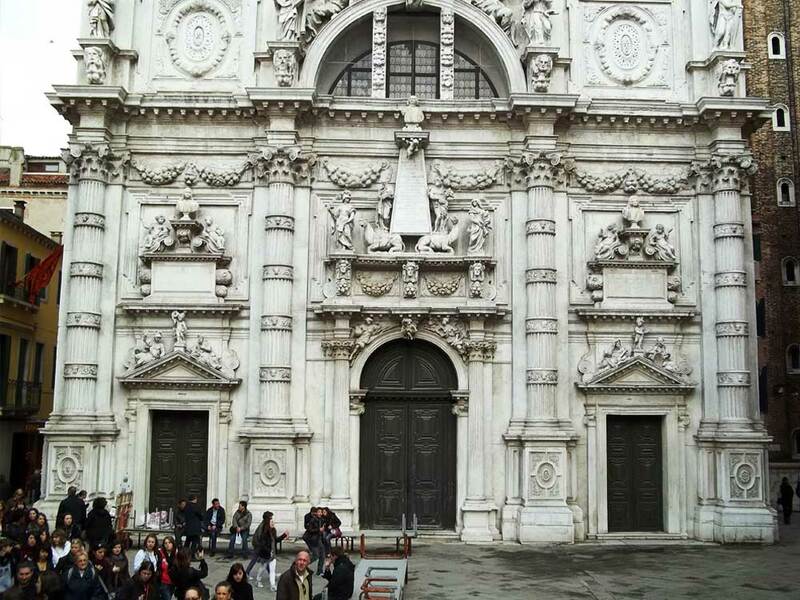 Because no vehicles are allowed in Venice, we had to take the coach to a boarding dock and leave it there for the day. We took a ferry across the water to the city instead of driving (even if we could drive, there's no road connecting the mainland to the island). While approaching Venice, Flip gave us a brief history lesson about the city and its many towers -- especially how the sinking of the island is making many of the crooked and dangerous to go up in. 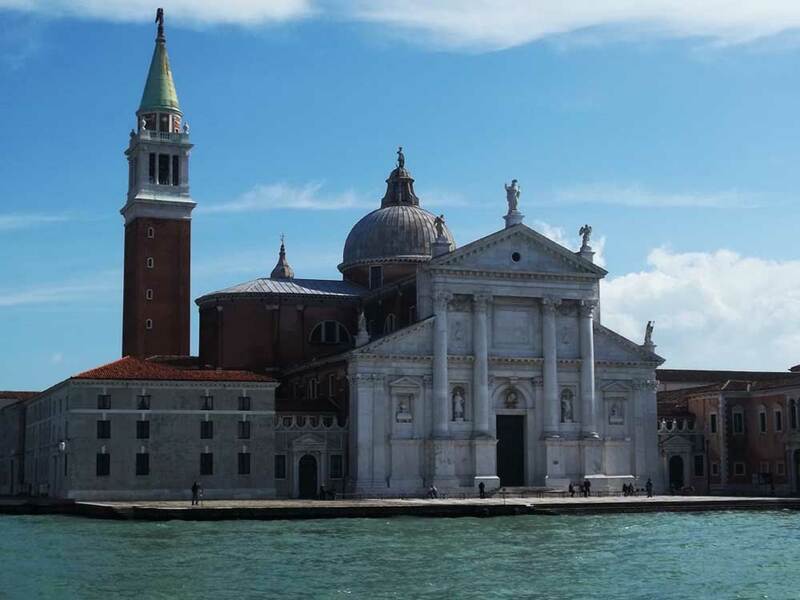 We were also told that after Venice was "saved" by the Bubonic Plague (if nobody crossed the water, the plague couldn't come over), the people of Venice built a beautiful church -- the Basilica San Marco, the most beautiful yet! Because of its longer name, however, I nick-named it the Plague Church and will refer to it as that later. We arrived in Venice and immediately saw the street-vendors selling their wares. We were warned that they would often crank up their prices when they saw a tourist, but I found the prices to be quiet modest -- €10 for a purse or €15 for a sweater seemed very reasonable. Maybe their wares were secretly junk, but I couldn't help myself from buying a "I Love Venezia" sweater. Our first stop after walking through Piazza San Marco (which is apparently the most expensive place in Europe to shop), was at a glass-blowing demonstration. Before I go on, let me tell you a quick story about the square: it used to have a major pigeon problem. When we were there, we saw about 200 pigeons sitting or flying around the square, but Flip said it used to be around 5,000 pigeons. 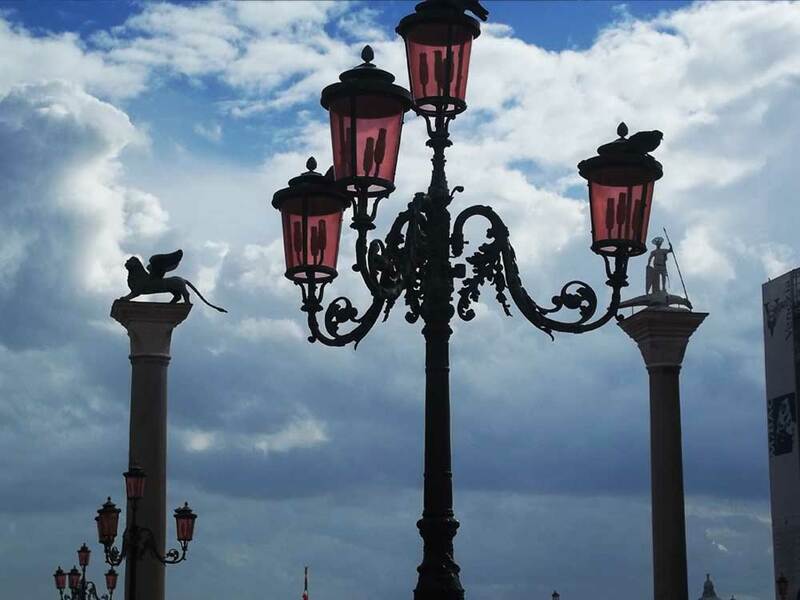 Venice solved this problem by selling very cheap pigeon food to tourists. The tourists would then feed the birds, and in time their stomach would get so big that they would explode and die. I'm sorry for jumping around so much. Venice has just so much exciting history and I have so much to talk about! As I was saying, we went to the glass-blowing demonstration and watched a professional glass-blower change a simple cylinder of glass into a bulb and then pluck, cut and carve a beautiful horse into it. It was mesmerizing! We then got a tour of the glass store and saw cups, shot-glasses and bowls of hand-blown glass. We also met up with somebody who works there who told us how to get different colours into the glass. However, he talked very fast and had a thick accent and I didn't understand a word he said. After that, we got to walk around the store some more. I found a bi-pyramid that cost €16,000 and a hand-blown, beautiful statue of a glass horse that cost €36,850. 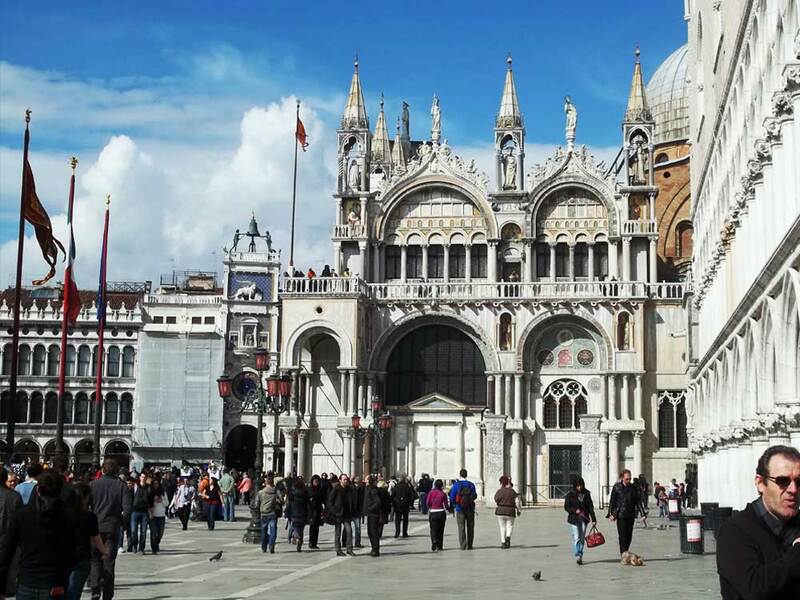 After that, we had "free time", so I went back to Piazza San Marco and took pictures of the square, including the Plague Church, the Campanile (the big tower in the center of the square, which only cost me €8 and had an elevator, unlike London's Monument), Palazzo Ducale and Museo Correr. When I went into the Plague Church, I was disgruntled to see yet another "no photos" sign -- but this time it was reasonable! The walls, ceiling and floors were like huge art canvases with golden chandeliers, beautifully carved pews an, large stone pillars and incredibly detailed pieces of artwork. Because it was so beautiful, and I couldn't take pictures, I did the next best thing -- I bought a dozen postcards! After my escapade around the Plague Church, I met up with Flip and the gang, and we went for our gondola ride. The ride started off great until the storm from Austria bellowed down the Alps, across the Acadian Sea and into Venice. Heavy rain fell from the sky and once a huge roar of thunder rumbled in the sky. Nevertheless, we had already paid for our rides and we continued floating down the canals of Venice in which we saw the abandoned buildings I talked about earlier. 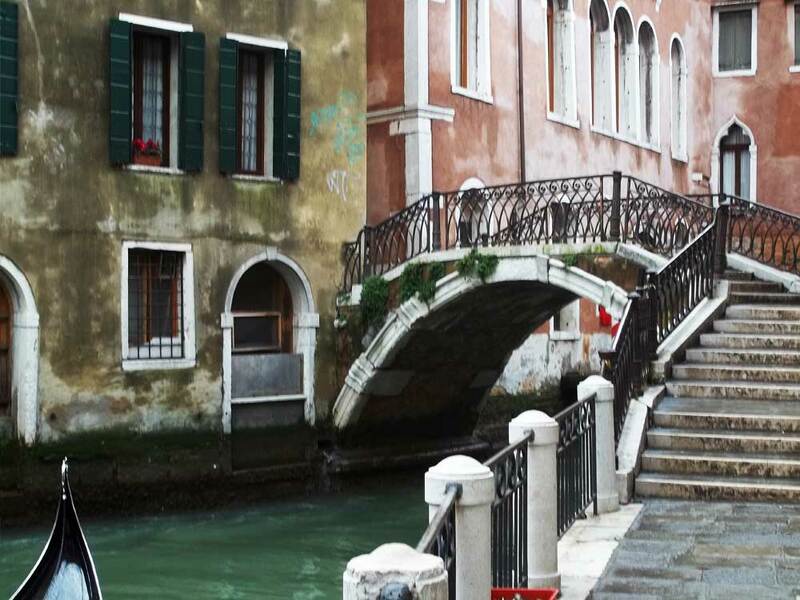 With Venice being a car-less city, the canals are the main form of transportation. The citizens need the canals to live so each house has their own boat, just like how we each have our own cars back home. Venice even has taxi-boats that people would ride like a normal taxi on land. During the heavy rain I sipped on my wine, and between the bouts of rain I took pictures of whatever I could. Some didn't turn out good, but I will always have the memories anyway. 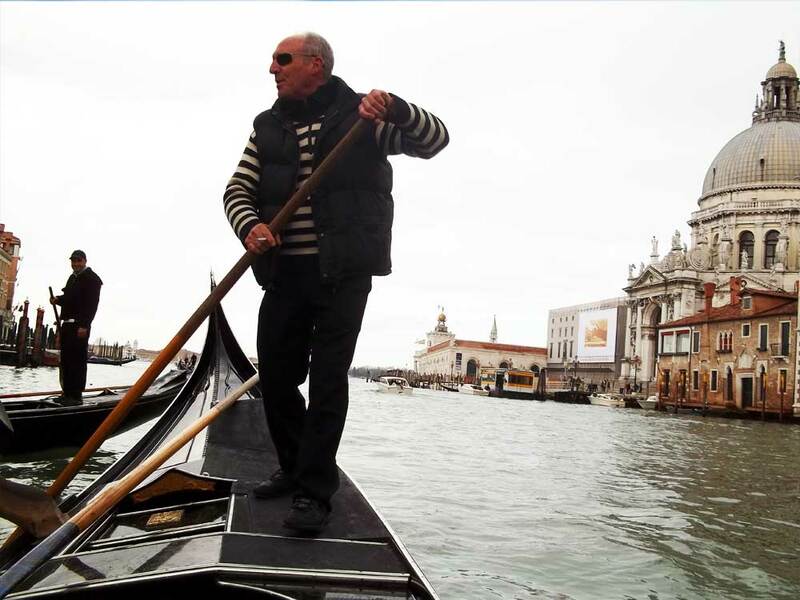 During the ride, the gondolier told us why the heavy rains were a bad thing. If it rains a lot, he said, the streets will fill with water and people will have to put out temporary walk-ways that are four-feet high and made out of metal to walk on. Until then, I had no idea what those hundreds of "strange table-things" laying around the city were. After the gondola cruise, the rain stopped (of course) and we had about three hours of free time again. It was then that I went up the Campanile and took pictures that are, not because of my photography skills but because of the view, breathtaking. 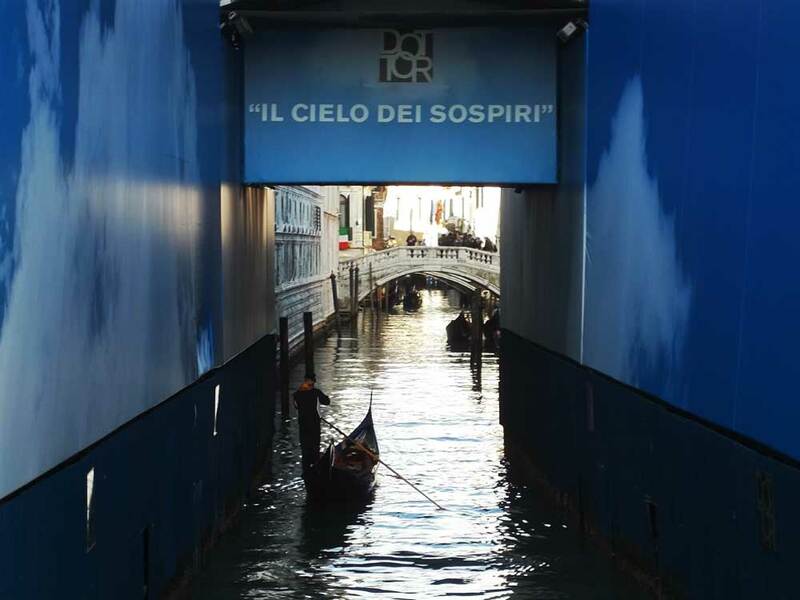 After that I headed towards the Ponte di Rialto, the massive shopping bridge that spans the Grand Canal, with enough shops that it is known world-wide for its amazing shopping experience. 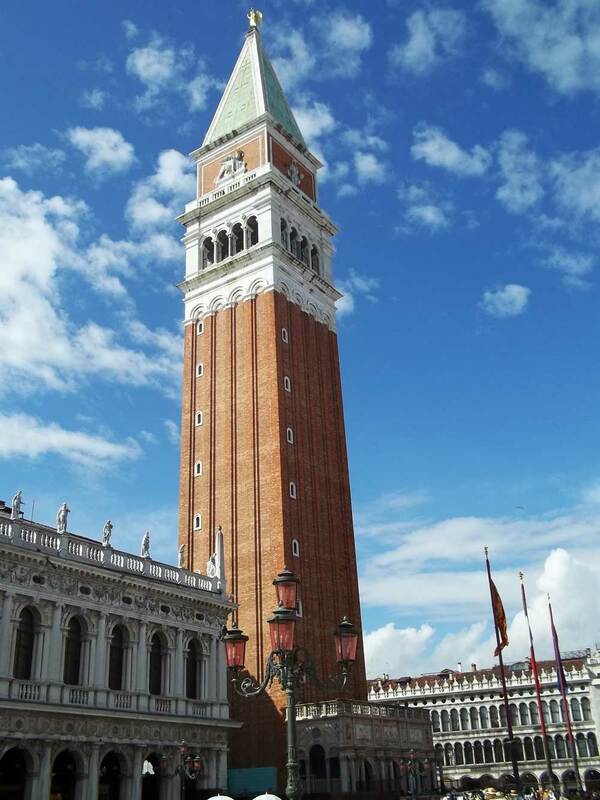 With map in hand, I attempted to navigate my way through the winding, labyrinth like streets, but after a half-hour od walking I ended up at the Piazza San Marco -- the very same place I started!! I met up with the troop a little while later and watched the flags in Piazzo San Marco get put up. They only go up for special occasions and today's 150th anniversary is one of those. After that, we headed to a popular Italian restaurant for a group dinner. We had a typical 5-course Italian meal of antipasto, spaghetti, penne, and a potato-salad in tomato sauce with a bowl of lemon ice-cream for desert. We were also given two bottle of wine for dinner and I helped myself to a little wine (...well, maybe more than a little...). I've been drinking so much since I got to Europe! I feel like a crazy, wild, party animal with all this drinking! After that delicious, but exhausting meal, we went back to the ferry, went across the water (all I remember was how the boat seemed to be rocking a lot because I couldn't walk straight), hopped back onto the bus and got to the Base Hotel, which is the nicest hotel we have stayed in yet! Sadly, tomorrow our bus leaves for Rome at 6:30 AM. If we have any chance of getting to the Vatican, and God-allowing we well, we have to leave and get on the road as soon as possible. On that note, goodnight, Oh, wait! Before I forget, I have a new roommate tonight -- Matt. Matt is from Australia and is a nice change from Ralph, who I had a terrible time trying to understand. Matt is at the bar downstairs now, so I guess he's not all that different than Ralph! Goodnight now. See you early tomorrow! PS: It took until tonight to finally find a "bidet". A bidet is like a toilet-like thing that sprays water up to clean your bottom instead of using toilet-paper. Mom warned me about them and it took until today to see one. I didn't want to use it, but I pressed the button to see what would happen. A fast stream of water instantly fired out and shot all the way across the room... I think I'll just stick with toilet-paper for a while.